On Nov. 17, Sanya Traffic Police caught a 19-seat kindergarten school bus overloaded on Jiefang Road. Around 16:35 pm, the police charged the driver of the school bus with seriously overloading his vehicle after it was stopped with 29 people including 26 kindergarten students, a teacher and the driver himself on board. According to a witness who followed the bus all the way, he said the bus actually carried 37 people as 8 students got off the bus before it was stopped by police. According to law enforcement, the serious overloaded school bus violated relevant traffic regulations. At present, the vehicle has been detained and the driver was fined. 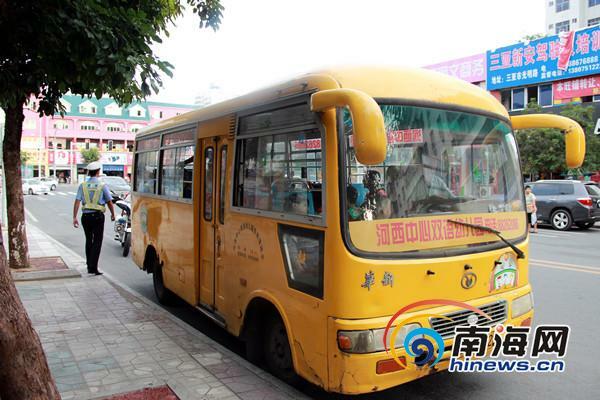 Currently, there are a total of 139 kindergarten school buses in Sanya, among which only 77 are registered.